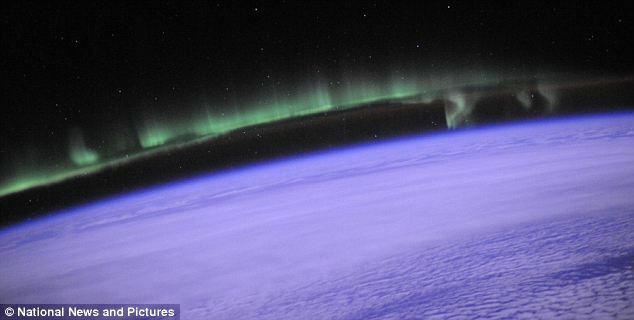 This spectacular aurora was snapped by astronauts on the International Space Station – who then used Twitter to send the images to their earthbound colleagues. 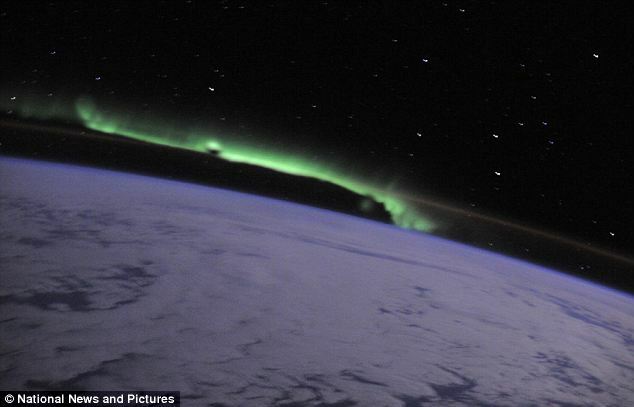 NASA astronaut Doug Wheelock photographed the aurora, caused by solar wind streams coming into contact with the Earth’s electromagnetic fields. He then tweeted it back to Earth accompanied by lyrics from the Don McLean ballad ‘Vincent’ (aka ‘Starry Starry Night’). Solar wind streams consist of charged particles ejected from the upper atmosphere of the Sun. Coming into contact with the Earth’s magnetic field generates dramatic light shows, including the Northern Lights. The stunning sight is formed as charged particles streaming from the Sun – known as the solar wind – interact with Earth’s magnetic field, resulting in collisions with atoms of oxygen and nitrogen in the upper atmosphere. Previous £45,000 taken from underpants! Next Good people should be bad!